Welcome to the wonderful world of seed beads! Don’t let those tiny beads intimidate you. Instructor Jill Wiseman will make you a master of the art. Students learn two stitches: the Brick stitch and the Peyote stitch. Then Jill shows you how to make a toggle clasp to keep it all together. 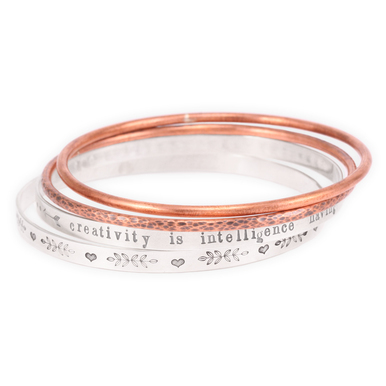 The resulting bracelet is a sleek and slinky adornment for your wrist. 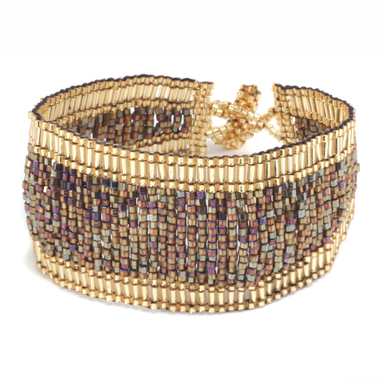 Cautiously try this simple class, because you just might emerge a seed beading addict! This class has a run time of 74 minutes. Excellent Video! Jill speaks slowly and clearly. Her directions were easy to follow. All my questions were anticipated and answered by Jill in her explanations. I wish there were more bead weaving videos! I watched your toturial how to make Sleek Bracelet .It is very professional session well explined and simple to understand even for beginner like my self. Keep with the great work.